This is the second time that I have written an annual retrospective for the FLOSSUK Membership and wider audience. It is always a pleasure to be able to write these, even if this year I am a little later than I wanted due to pressures of other projects. Last year was the final year on Council for Quentin Wright who has served on the council, and as an active member of FLOSSUK and UKJUUG before that, throughout its long history. Quentin stood down as Treasurer and Council Member in the autumn of 2018 and it would be foolish not to mention what a great impact that had on us all. Covering the hole left by his presence and his dedication to the organisation has not been easy and is part of the reason we have held the AGM at such a late date. Taking over his role as Treasurer on Council is Gavin Atkinson who has also been a stalwart member of UKUUG and FLOSSUK and we are sure he will take up the mantle with the good grace and energy he brings to our community. We have now completed much of the reorganisation of the organisation. We can now start to use our membership system which will transfer all members to an online system where they can self manage their data and subscriptions making us more compliant with data legislation and privacy concerns. The next task is to add all of our members and start the active membership again. This will be done, we hope, in time for the conference. The 2018 conference in Edinburgh was a great success. We had a wonderful two days at Dynamic Earth for the main conference and a day of workshops held at Edinburgh University. The conference was recorded at a higher definition (thanks to equipment managed by the Enlightened Perl Organisation with contributions from many organisations including FLOSSUK and Edinburgh University and loaned for this event) and the videos have made their way (in part) to the FLOSSUK YouTube Channel. The most popular video continues to be the look at FreeBSD by Gavin Atkinson which is almost twice as popular as its nearest competitor. This might indicate that a longer workshop or detailed discussion of this deserves some consideration. It is only an indicator though as many other videos get notice. 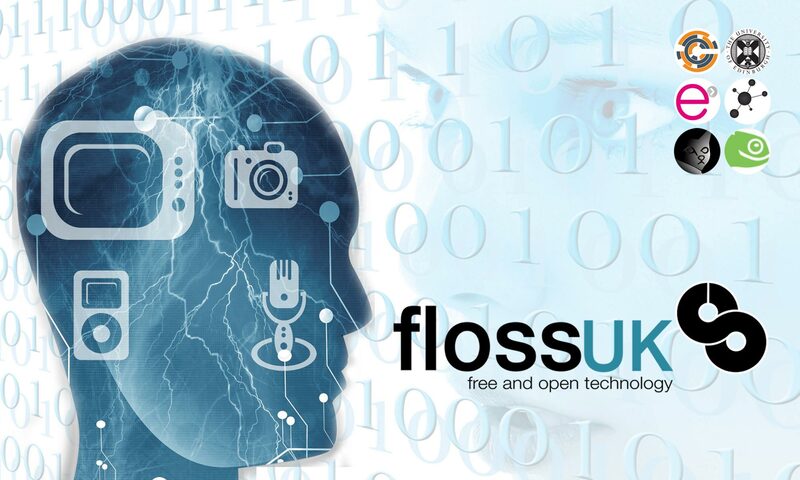 Certainly it has shown that providing the videos is a valued part of the work that FLOSSUK can perform. This year’s, 2019, conference will be held in Birmingham in July and we hope to build on the changes and successes of the conference in Edinburgh. Please join us at our flagship conference in Birmingham, it promises to be an exciting year and we hope to bring you an amazing event packed with quality talks, workshops and more importantly the chance to meet friends old and new.